2012 Toyota Rav4 Roof Panel Replacement. This is the full replacement of a roof skin, this had to be replaced because of hail damage. 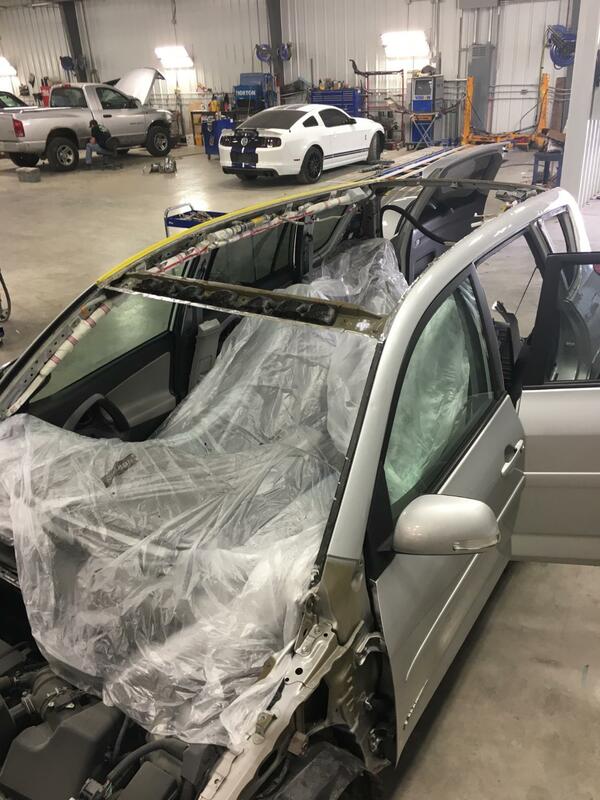 Not all hail damage can be repaired by paintless dent removal and in some cases like this we replace the whole top. 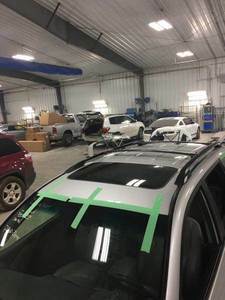 1st photo shows roof skin removed and the 2nd photo shows it after the factory Toyota roof skin has been replaced and refinshed backed to factory specs.